Autumn is definitely in full swing now. The nights are drawing in and there’s a distinct chill in the air. 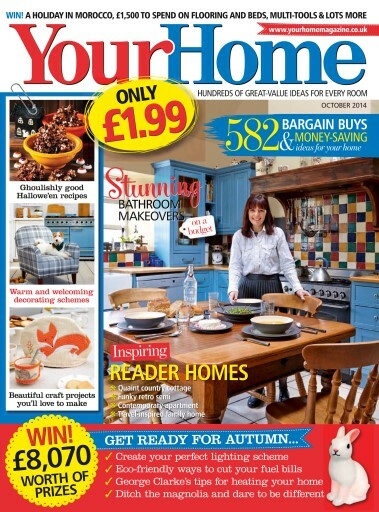 So in this issue we’ve got lots of great ideas for making your home warm and cosy for the months ahead. 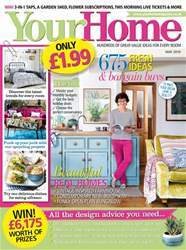 On page 36 we take a look at the latest trends in lighting and show how to create your perfect lighting scheme. While on page 40 we go over to the dark side to discover how ditching magnolia and embracing more dramatic colours can give your home a whole new look that’s perfect for cosying up in over winter. 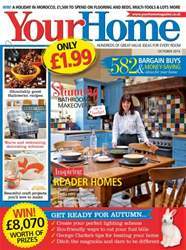 Meanwhile on page 111, George Clarke explains why a real fire can make all the difference to your home and looks at the latest technology which means everyone can enjoy flickering firelight even without a traditional flue. If you’re planning a get together for Hallowe’en then check out our ghoulishly good recipes on page 100, while on page 60 we’ve got some great ideas for grown-up Hallowe’en party decorations. We’ve also got some lovely craft projects to keep you occupied on the dark nights ahead. I love our cute foxy tea cosy and matching mug warmers on page 64, and our clever upcycled suitcase footstool is perfect for putting your feet up in front of the fire (p.62). 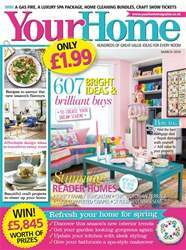 As always we’ve got plenty of gorgeous reader homes to inspire you in this issue (p.73), as well as some brilliant bathroom makeovers (p.24) packed with clever ideas to copy. 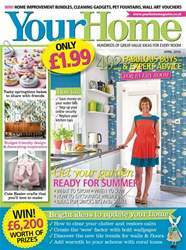 Don’t forget to take a look at our home improvement section this month to discover how making your home more eco-friendly can save you money on your fuel bills (p.106).